We know our market and can fund houses in multiple occupancy HMO (licensed or not), Ex council properties, studio flats (over 25 sq mtrs in size), bedsits, commercial properties, flats above shops and part commercial (flat and a shop). Whether you are starting off or extending your property portfolio we have extensive experience and can help you achieve your property investment goals. We also can fund buy to let properties that are let to DSS tenants, students, companies, councils and housing associations. Our commercial lending team has 17 years experience in this market. So whether its self certification, interest only, extended terms, or development finance we can help. Member of real estate associations. 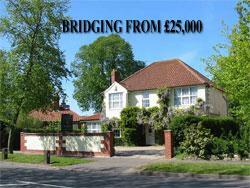 Bridging Loans, Commercial Mortgages and Buy to Let mortgages. We offer the property investor a choice of over 500 buy to let mortgages. With such variety we can find the best buy to let mortgage or best buy to let remortgage. We also have access to exclusive schemes that are not generally available to the mass buy to let market. No upfront or exit fees are payable by our clients. Our service is a no obligation free quotation.